Aliza Sherman - Social Media Certification - Are you Kidding? @alizasherman lets it fly on the topic of social media certification. Important topic. weigh in! ONLY $2795 for platinum members! NOTE: if it works better for your cashflow, we do offer a split-pay option! WT*? Who out there thinks they actually know what it takes to be a Social Media Specialist to come up with certification criteria? 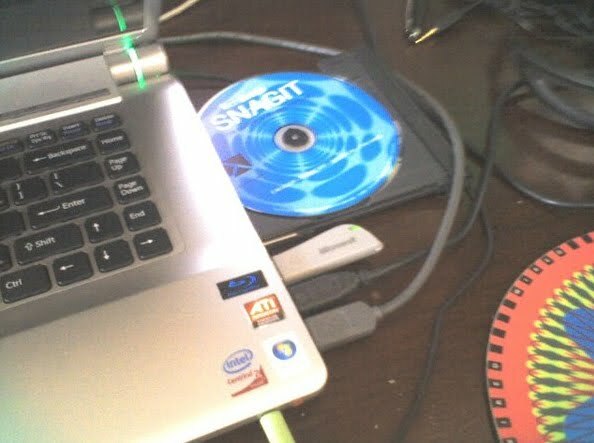 I recently purchased my fourth Sony Vaio - a custom FW390. It cost over $2200.00 by the time I upgraded to 80 gigs of RAM, a high speed processor, advanced graphics card and other features. I thought you were a smart move. We had already dated for five years - and you were my fourth Vaio. You were sleek, handsome and you had a battery that could last a lifetime. And sure, maybe we weren't the ideal fit -- but a Mac with similar configuration would have been about $4,000. You were slim but powerful, reliable and a great traveling companion. But then, you betrayed me. You made yourself over into a dysfunctional mess. Your new design proving to be an inconvenient, non-ergonomic nightmare of cables and irritation. 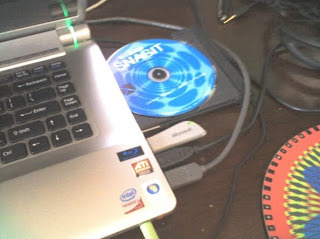 All USB and audio ports are located at the front right of the machine, interfering with the opening/closing of the Blu Ray disc in back, as well as my mouse.. The control buttons on the screen are about 1/8 inch thick and wide - with counterintuitive labeling - they are hard to distinguish and impossible to read. NO DOCKING STATION available - so I have to halfway shut my screen to use my 25 inch monitor. When I got the computer I did call to express my disappointment. You told me "if you don't like it, call it quits and send it back". My only option was to return it. After a week of research and two weeks of extended business travel - I did have an extra week on the 30 day refund policy to return it and I didn't. Shame on me. Perhaps I just hoped I would get used to it. Now, I'm left with regret, and the bill. I did write Sony Style on Twitter to provide some helpful feedback -- and got no response. I put my feedback in a customer satisfaction survey also and heard nothing back. Perhaps an acknowledgement of the problem, a little sympathy, apology - proactive response would have kept me around for one more chance. ...but it occurs to me that your lack of response only underscores what I feared: that you really don't care about me after all! I feel a little silly, Sony. I mean, I write about brands and customer experience for a living. I wanted to love you -- I wanted to be your friend. But it dawns on me now that if you really cared, not only would you respond to my complaints -- you wouldn't have shown such disregard for the user when you designed this machine. So, after more than a decade of being your friend, I am breaking up with you. I've met someone new -- we dated several years ago -- and he knows how to deliver. His name is Mac and suspect we will be very happy together. I realize you're under warranty. You might feel bad -- and you should. It's not me -- it's about you! You shouldn't have taken me for granted -- especially in a down economy when every customer counts. But cheer up. Maybe you will find someone else, just as hopeful and clueless as I was. I hope she reads this letter. In the midst of client deadlines and work, a lot of us feel pressure to give more than we have -- provide more value than we might be currently capable of. There's pressure to be everywhere at once, friend everyone, attend every conference -- all while giving away lots of stuff for free. Because of my work schedule, and my family who needs me, I tend internalize a lot. However, lately I've been walking away from meetings and interactions feeling a sense of unease. So, this is an attempt to process and purge some of those feelings and hopefully, to do something positive with them. 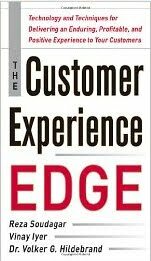 To put this in context, I started this blog in early 2005 to write down my thoughts on customer experience. My passion for CX stems from my love of people, combined with my roots in information architecture and design, as well as operations, CRM and business strategy. This complements my natural interest in making make things better for people - inside and outside of the enterprise. This is relevant to the era of social media because the more channels and tools we use to communicate, the more difficult it is to create seamless, solid, positive customer experience. Companies today become so enthralled with keeping up with the dizzying level of channel proliferation, they often lose sight of customer experience. Facing a sort of "keeping up with the Joneses" pressure to engage actively on sites like Facebook, Twitter, YouTube, blogs, crowdsourcing sites, wikis and more -- they often proceed without proper planning or resourcing in place. It's a mad rush -- and for some consultants and agencies -- it's a gold rush. How will these activities improve my business? In my opinion, if we are not making things better for employees, customers or prospects we are only adding to the noise. If we're not applying these tools to make our business better and drive qualitative results -- we are also doing our companies a disservice. Too many "social media experts" are pushing tools and "strategery" at the expense of common sense and solid thinking, contributing to perceptions about social media -- and ignoring the many best practices that have been established. I was shocked recently, to hear Andy Sernovitz tell a group of over 350 marketers that if they wanted to get started easily in social media they should do this: "Go out and find the lowest paid person in your company who can type and put them on Twitter." He later contradicted himself on that point, but the damage was done. In my opinion, as stewards of knowledge and experience -- we can't afford to be talking out of both sides of our mouths! If your base-level customer experience stinks, using social media tools probably won't help much. Social media isn't free. It is cost-efficient when planned for and managed appropriately, and like any investment that comes with a price, what you will yield is proportionate to what you invest. Web 2.0 and social media tools are merely a means to an end - what you do with the tools, and how you integrate them to improve the base business are what matters. "Transparency" is an illusion. While conversational media increases visibility into your operations, you can maintain enough opacity to protect your sensitive underbelly. "Authenticity" is a terribly abused word. There are plenty of authentically bad companies and products out there. Strive to be authentically good and constantly improving and you'll win. "Influence" is relative term. However, it generally belongs to people that consistently deliver positive, remarkable experiences -- across channels and over time. "Trust" is fluid and hard to measure. Deliver on every promise, exhibit high level of ownership / stewardship, be a mensch and gaining trust won't be an issue. If your senior leadership wants to relegate social media to an intern or agency -- resisting the notion that these tools may transform the enterprise, consider changing jobs. If you are looking for help, beware of snake oil. Strategists who can't execute are as dangerous as "one-trick ponies who only know how to use a single tool. Find someone who can develop a solid strategic plan, execute, help your organization prepare, educate and stand by to help, if needed. Going back to my roots, focusing on creating a better company, products, services and ultimately -- a better experience for prospects, customers and even employees is where we should focus. Doing this well requires rolled up sleeves, attention to detail, a love for people and an understanding of best practices across an array of disciplines. Pushing past the hype, and fixing our eyes on becoming better, wiser, faster, stronger, more responsive, authentically good -- and using new technologies to accomplish quantifiable goals, we can drive success -- even in a rough economy.